Rapper Nelly Arrested For Alleged Sexual Assault : The Two-Way The pop star was taken into custody on Saturday morning while on tour in Washington state. Nelly was taken into custody early Saturday morning after a woman called 911. 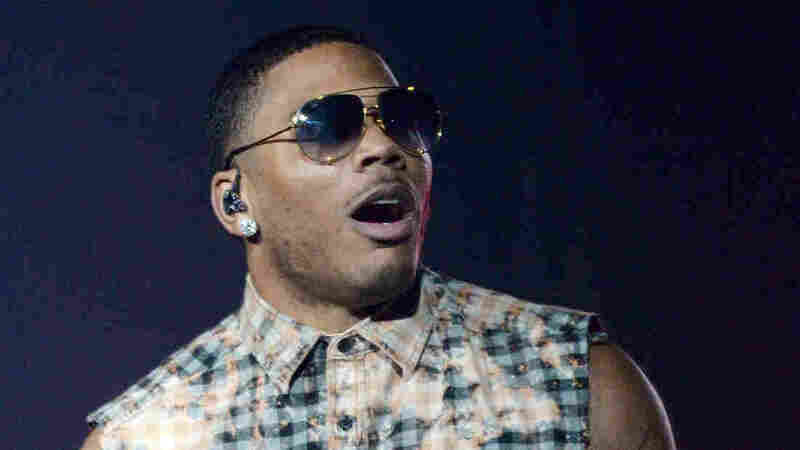 Nelly, the rapper behind hits "Hot In Herre" and "Ride Wit Me," was arrested Saturday morning for alleged sexual assault during a tour stop in Washington state. The Auburn Police Department said in a statement that a woman called 911 at 3:48 a.m. Saturday and said she was assaulted by Nelly, whose given name is Cornell Haynes Jr. After a police investigation, Nelly was taken into custody an hour later. The St. Louis rapper was touring with country act Florida Georgia Line and was slated to perform in Ridgefield, Wash., on Saturday night. The musician's lawyer, Scott Rosenblum of St. Louis, issued a statement in which he called the allegation "completely fabricated" and "scurrilous." Rosenblum told NPR that Nelly is no longer in police custody, and has not yet been charged.